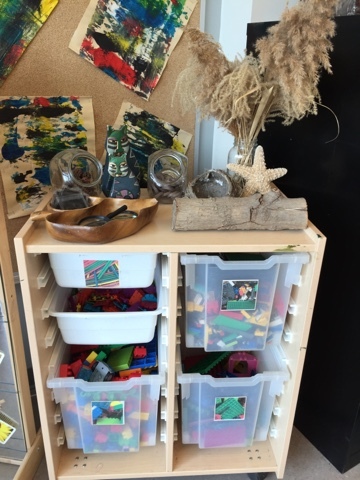 Although in our room we encourage children to use ideas and materials in cross-curricular ways, we have a designated science area. 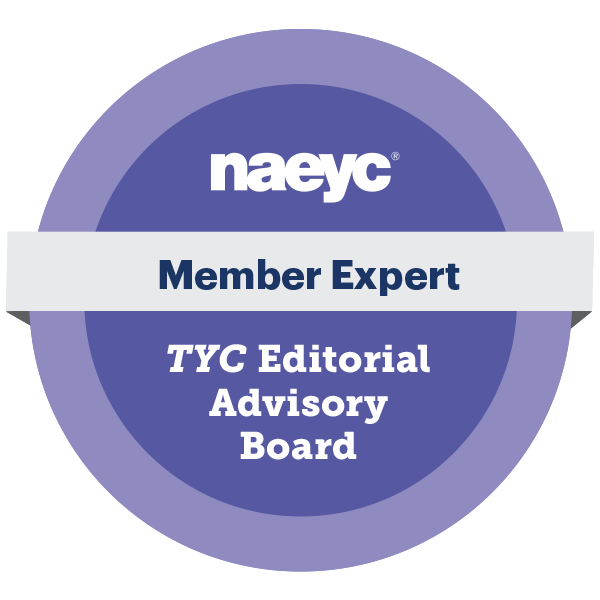 We display and store materials, tools, documentation and inquiries in progress here. 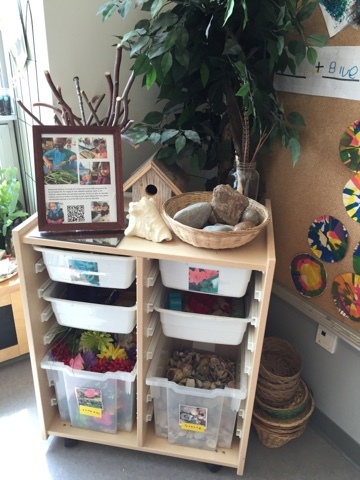 We just cleaned and restocked the area so it is fresh for the remainder of the school year. 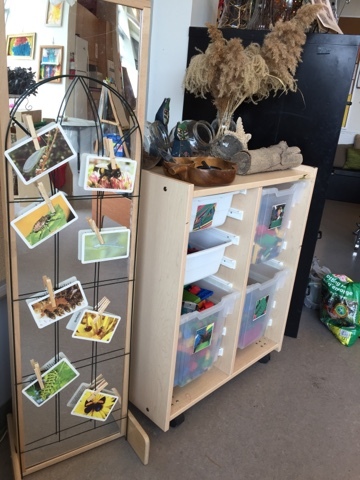 Natural artifacts of wonder that are found in our yard or donated by families sit on top of shelving holding building toys. 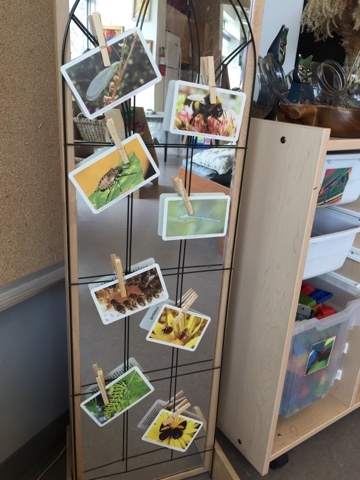 A mirror with a gardening trellis displays interesting photos. Extra baskets are always handy and incorporated as part of the decor. 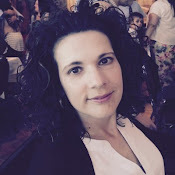 The current interest or inquiry is interwoven with children's art and writing. 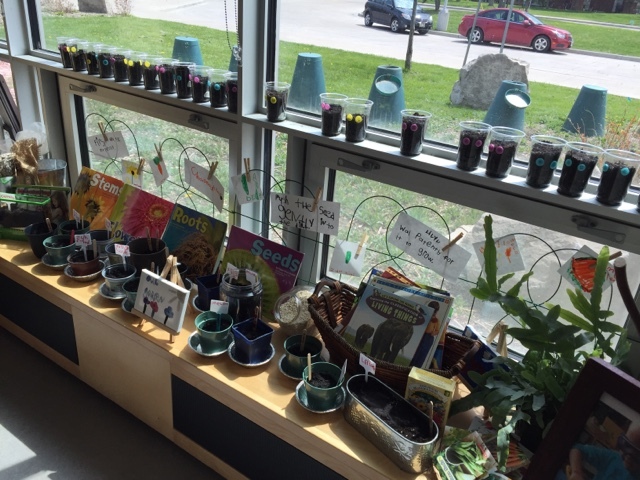 Here our recent planting is displayed in the window. 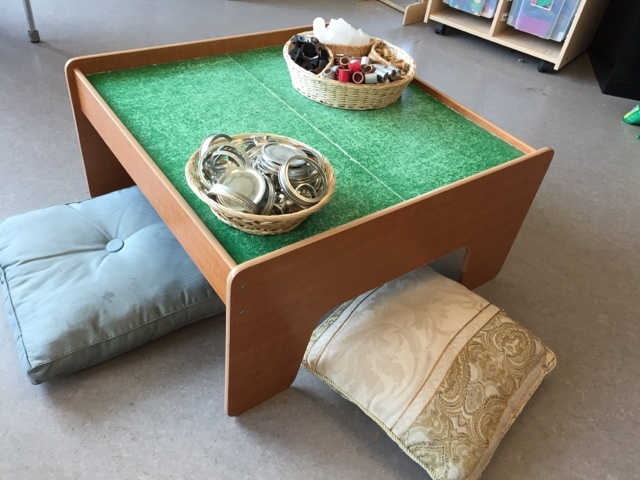 A low table and comfortable pillows invite children to explore with various loose parts. 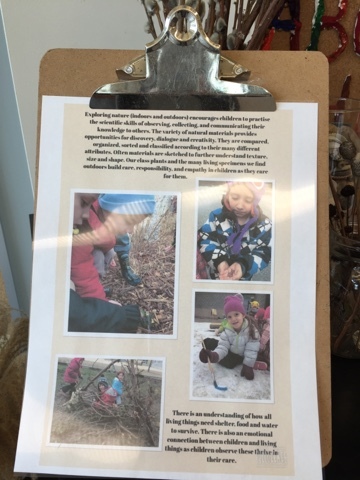 Documentation explaining our philosophy for science and outdoor play are on display. 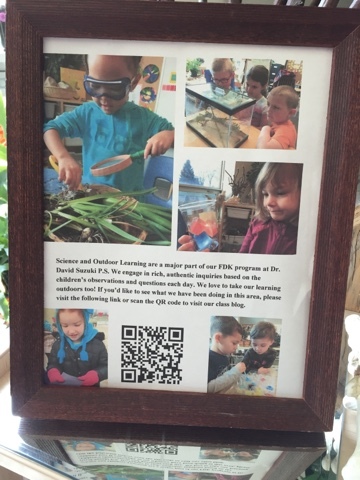 Users can scan the QR code and be brought to a link containing all our blog entries tagged 'science' to see the history of the center and the stories of what the children have done so far this year.